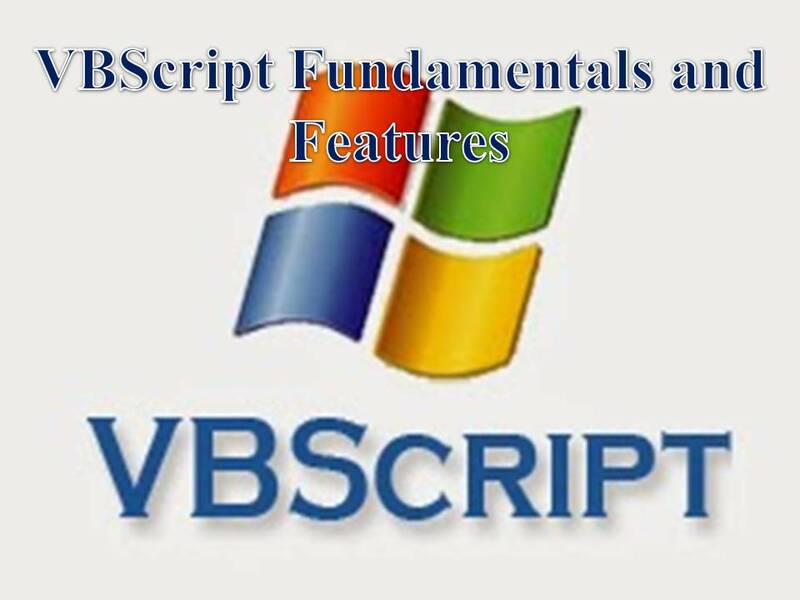 > Visual Basic Scripting Edition, It is a light weight language from Microsoft. > VBScript derived from VB Programming language. > VBScript is not a case sensitive language. > No formalities for writing statements. > It ignores extra spaces. It is a platform dependent language. > Scripting Languages are Interpreter based languages. > Scripting Languages support Explicit and Implicit declaration of Variables. > Limited support for UI design. > Limited support for graphics design. > Scripting Languages Can be easily integrated with other Technologies. Example: COBOL, C, C++, Java, VB, VC++, C# etc…. > Programming Languages support Explicit Declaration of Data types only. > Programming Languages are Compiler based Languages. > Programming Languages support Explicit declaration of Variables only. > Rich support for Application development. > Rich support for UI design. > Rich support for Graphics design. > Difficult to integrate with other technologies. > Scripting Languages Increase the code size. > using VarType function user can check the data sub types. * Dictionary object is equilent to Hash variables/ Associated Arrays in Perl Script. ii) Execute a block of statements when condition True. * Using Exit Statement we can terminate the loops. > Function is a Reusable code. > Whenever we want execute same operations multiple times then we prefer functions. It is used to perform operations on Word Application / Word documents. It is used to perform operations on Database Records. Whenever we use invalid input then we can expect the Error.